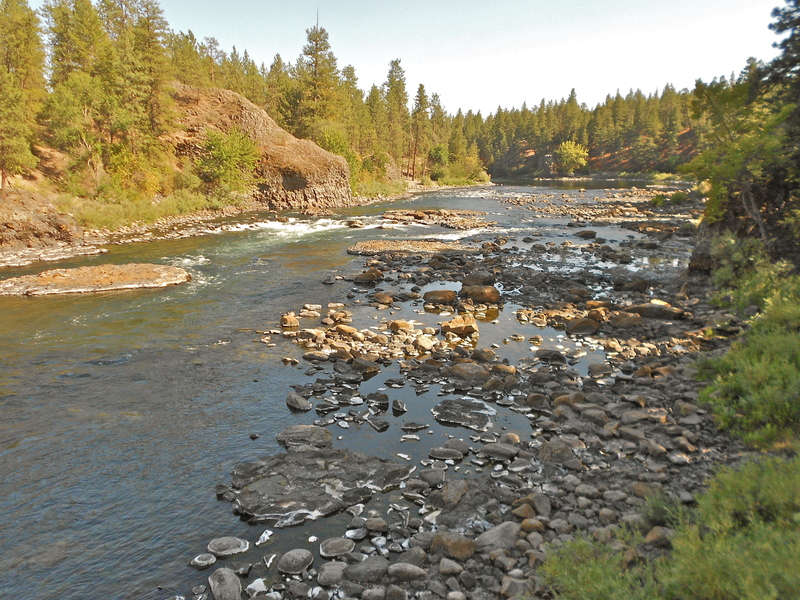 H2KNOW: Our Spokane River is Low and the City of Spokane’s Slow the Flow Program joined together today to strongly encourage people to conserve water during our drought, record-high heat, and a drastically reduced river flow. 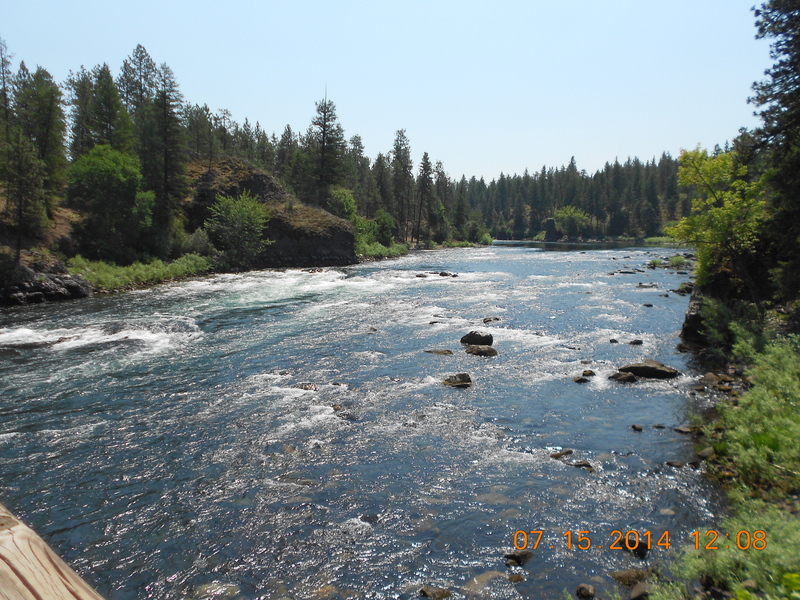 Compare the Spokane River at 2500 cubic feet per second (cfs) in the photo on the left, taken July 2014, to 630 cfs in the photo on the right, taken this August from the same spot in Riverside State Park. … We have to have a systemic approach that not only addresses consumer use and how people use water but a whole planning and a whole vision for our water future here in the Spokane area. Reduce lawn watering to only twice per week. Don’t water on windy days, and turn off your sprinklers when it rains. Water your lawn and garden only at night or in the very early morning; water evaporates in the hot mid-day. Take shorter showers and install a low-flow showerhead. Many other money-saving, easy actions can be found at the www.H2KNOW.info as well as at the city’s www.waterstewardship.org. Citizens should also think long-term. Weather forecasters already are predicting that the Pacific Northwest may have another low-snow winter and long, hot summer in 2016. Install low-flow toilets, change your landscaping to remove thirsty lawns and install water-efficient native plants. 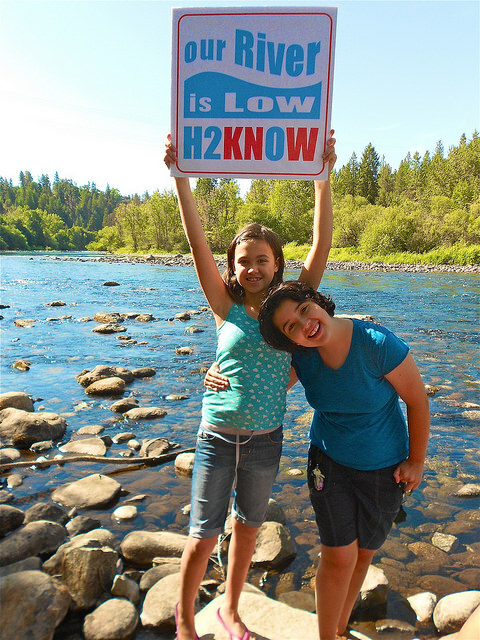 H2KNOW is a community awareness campaign is supported by the Center for Environmental Law & Policy, Upper Columbia River Group of Sierra Club, and the Columbia Institute for Water Policy. Follow H2KNOW on Facebook and check out our website. Follow Spokane’s Slow the Flow campaign.